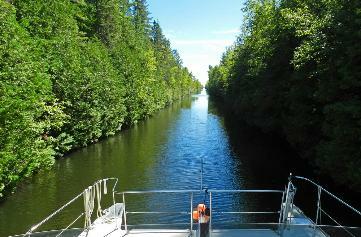 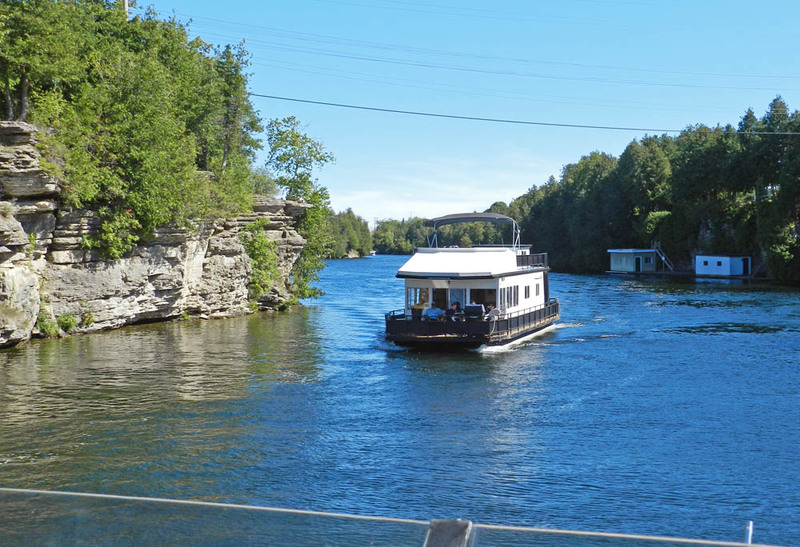 A narrow stretch of the Canadian Trent-Severn Waterway just before the Big Chute. 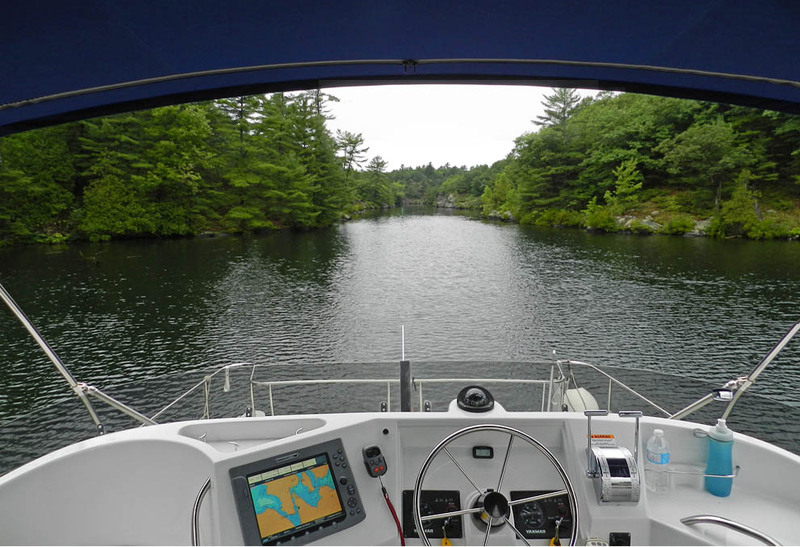 deliver a 2007 PDQ from Georgian Bay to the East Coast. 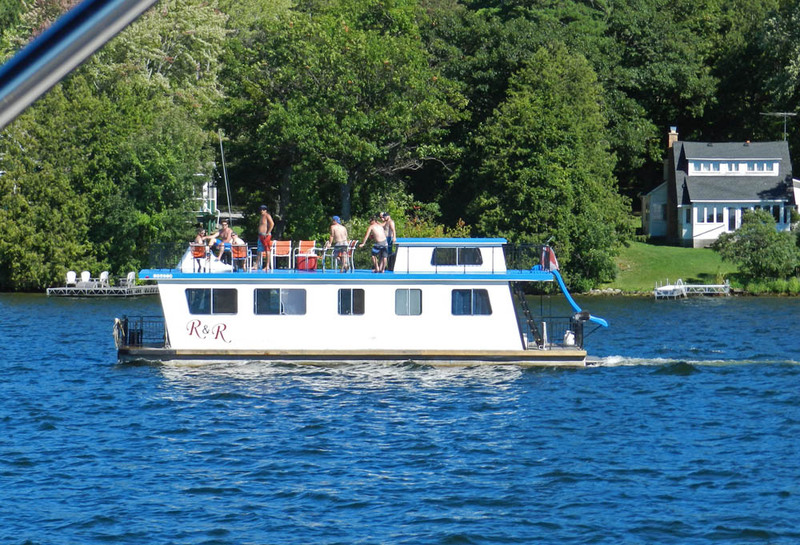 We thought about it for about 30 seconds and said YES! headed. 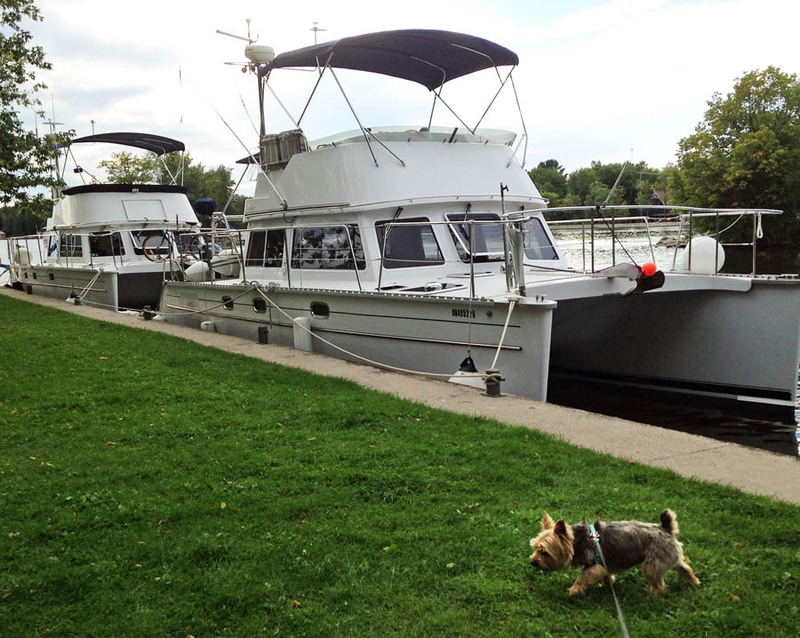 We agreed to take her as far as NYC. 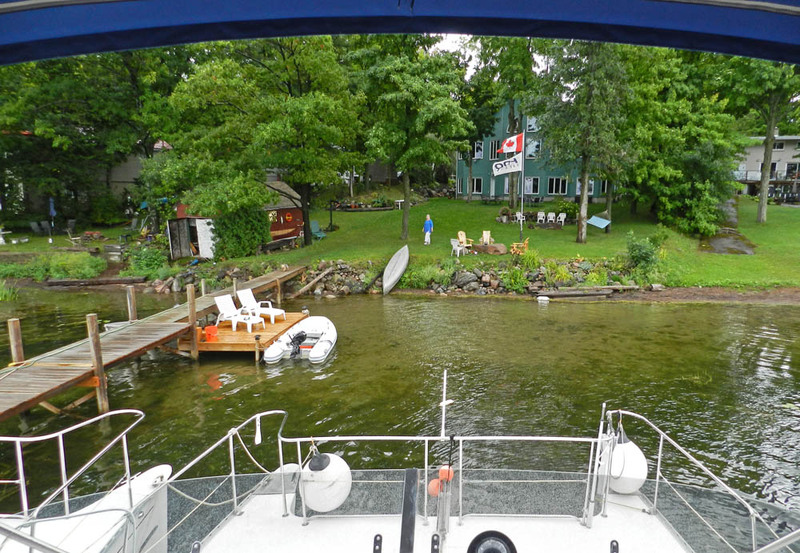 very pretty waterfront home of James & Jackie Power. 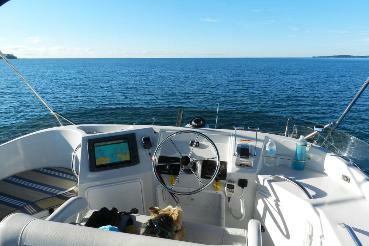 about an hour's run to the east. 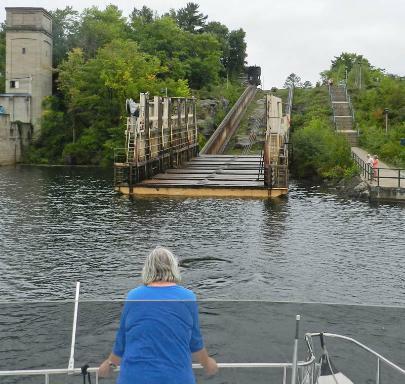 Arriving at the Big Chute Marine Railway. 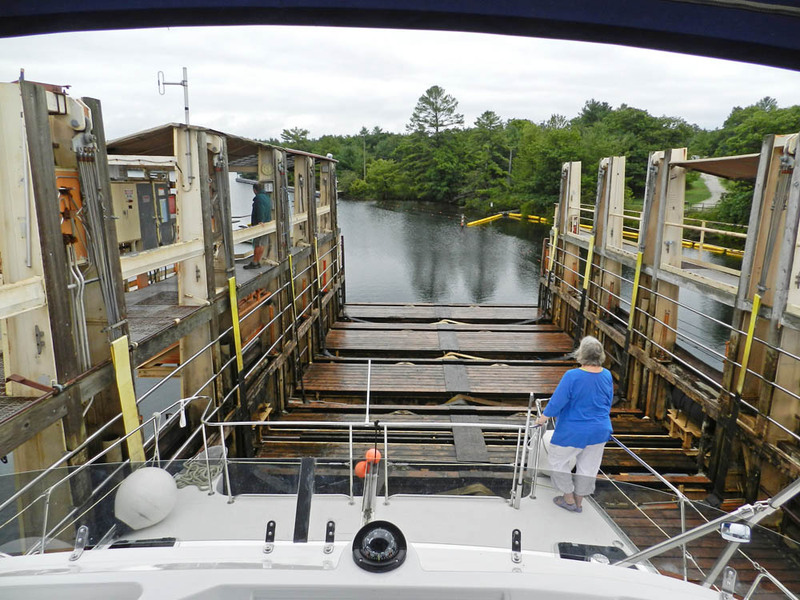 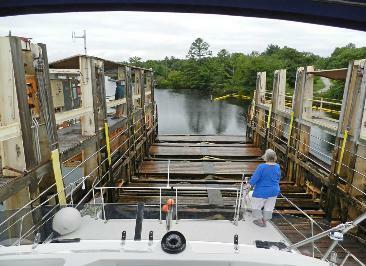 Friendly lock-keepers on the Big Chute Marine RR. Cakaro, and Addie, riding on the Big Chute Marine Railway. Addie checking out sightseers as we ride up the Big Chute. 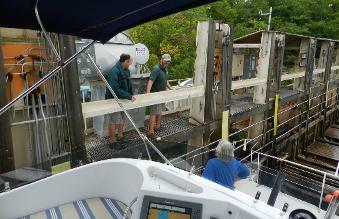 Coming down the other side - the boat remains level. 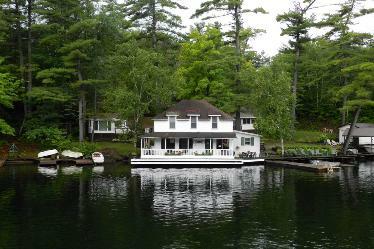 One of many beautiful waterfront "cottages" along the Waterway. 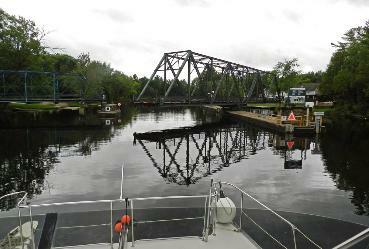 A swing bridge reflected in the calm waters of the TSW. 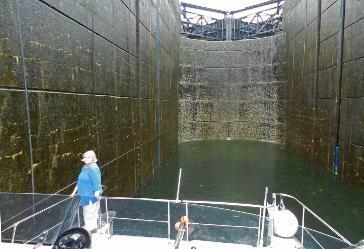 In the big lock at Swift Rapids. 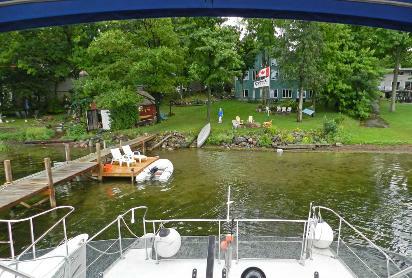 Heading out across Lk Simcoe, one of our larger open-water crossings. 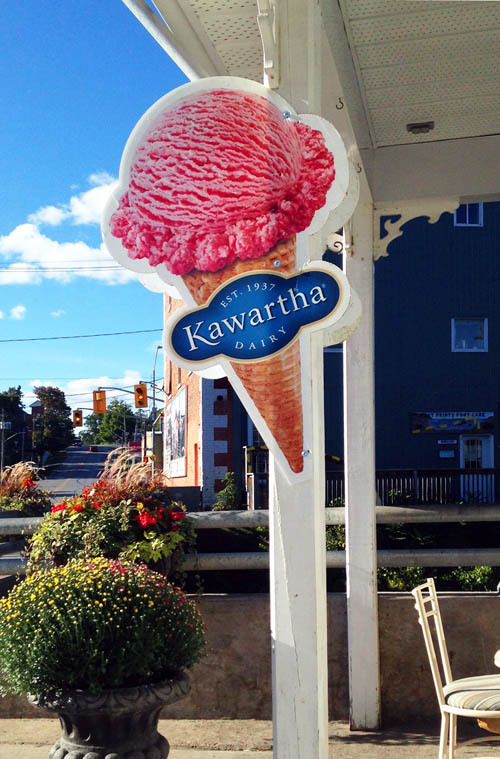 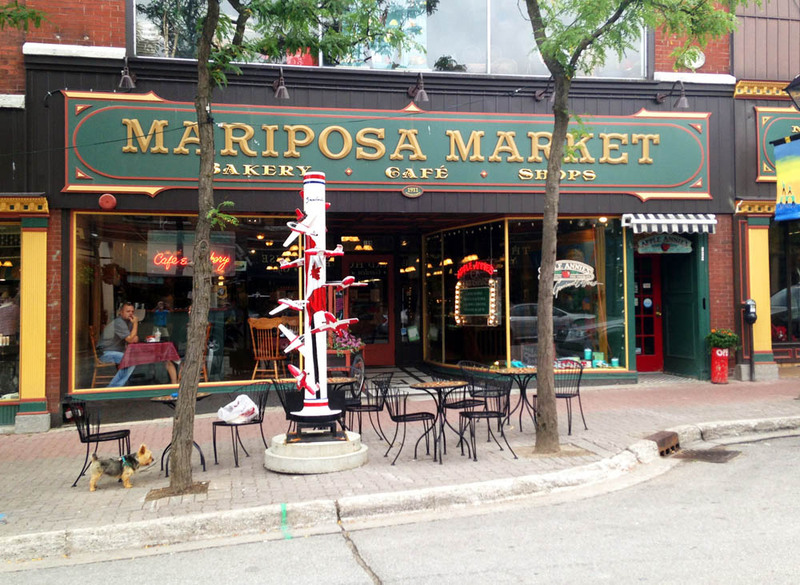 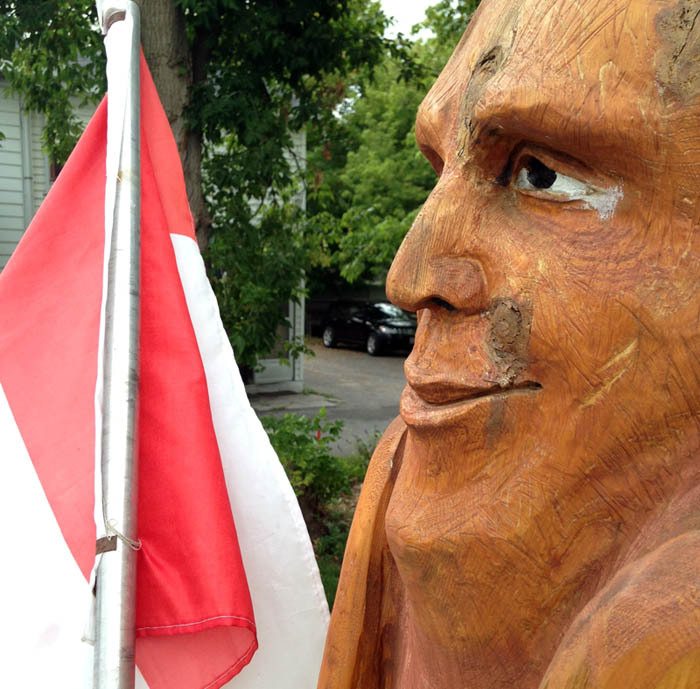 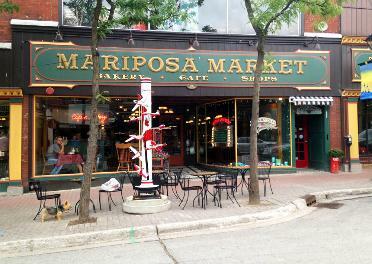 A highlight of our stay in Orillia was the Mariposa Bakery. 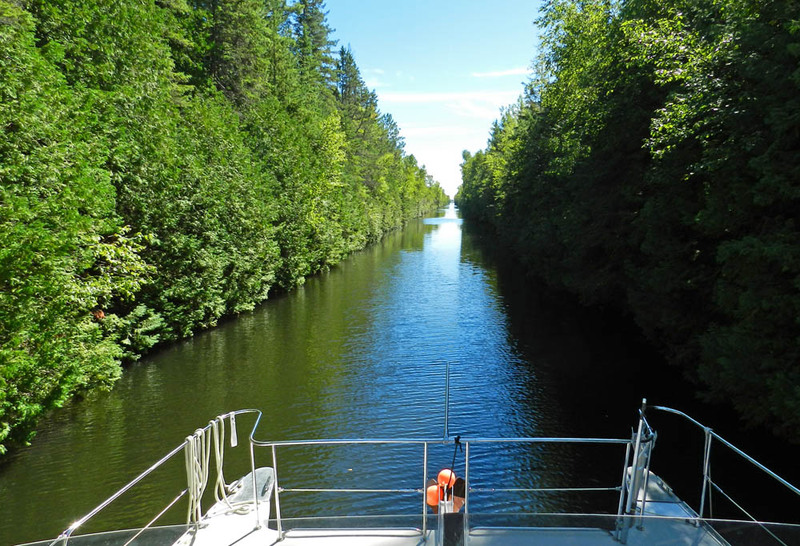 One of the few narrow, straight stretches on the TSW - still pretty. 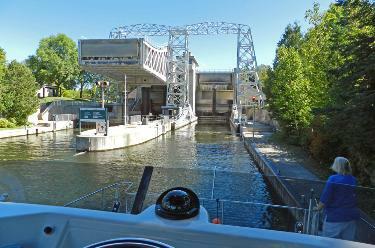 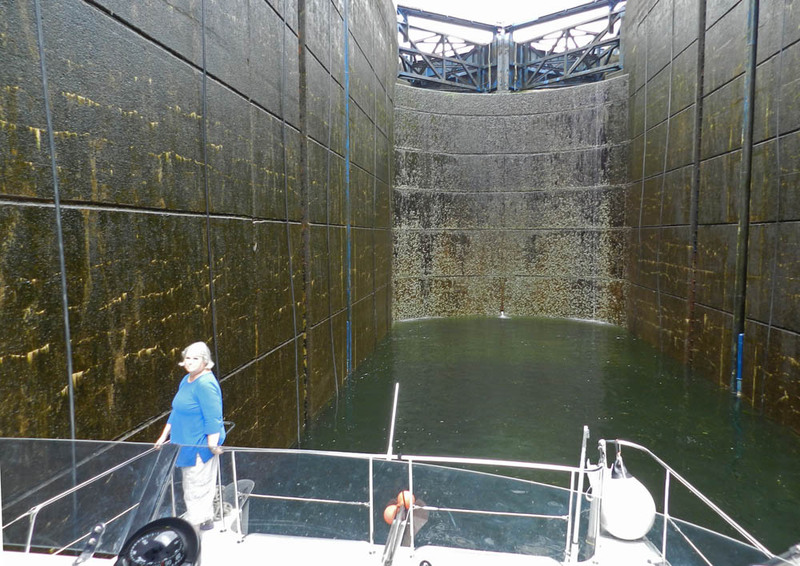 Arriving at the Kirkfield Lift Lock, the highest such lock in the world! 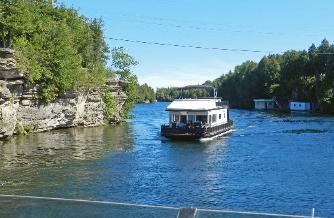 Nearing Bobcageon, rental houseboats started to appear in force! 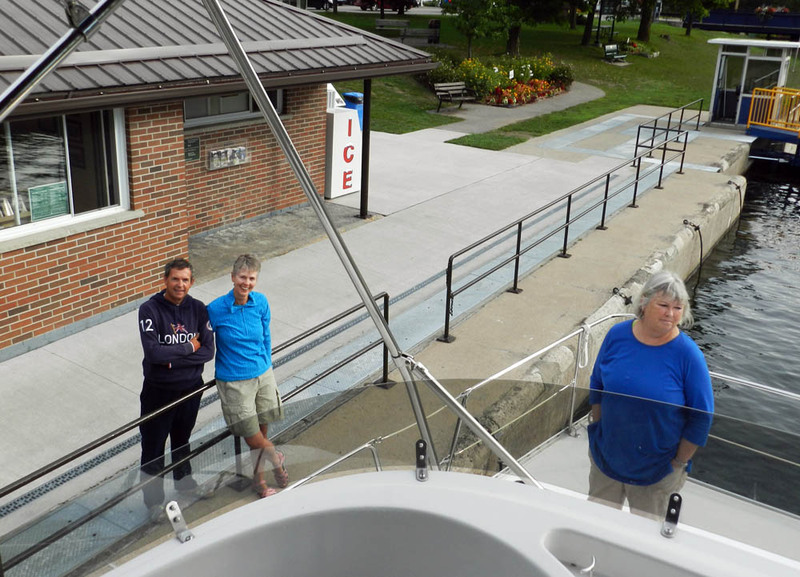 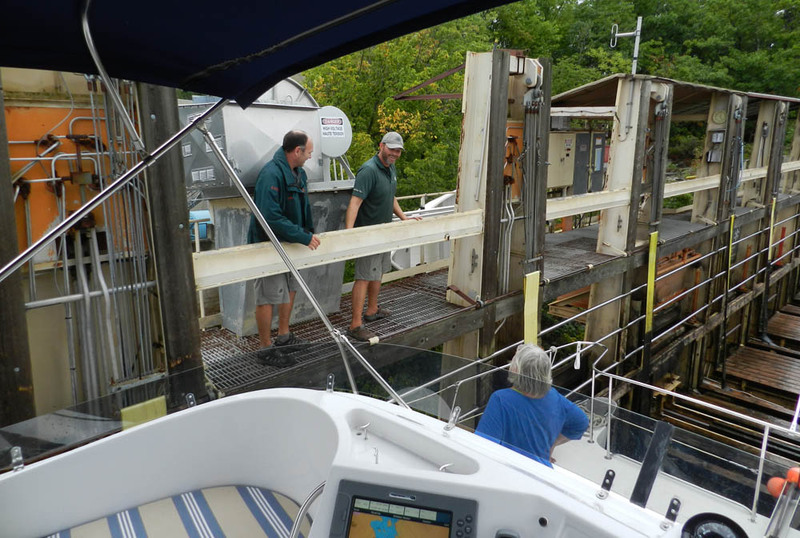 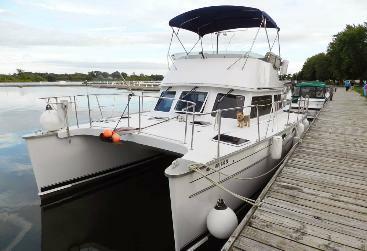 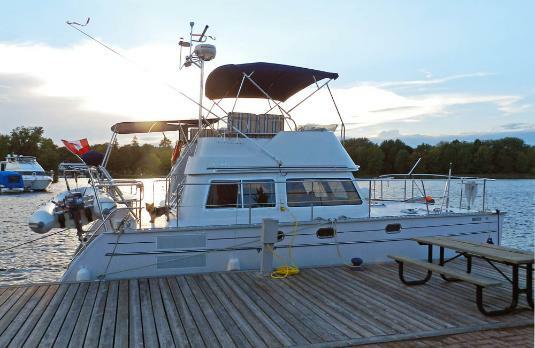 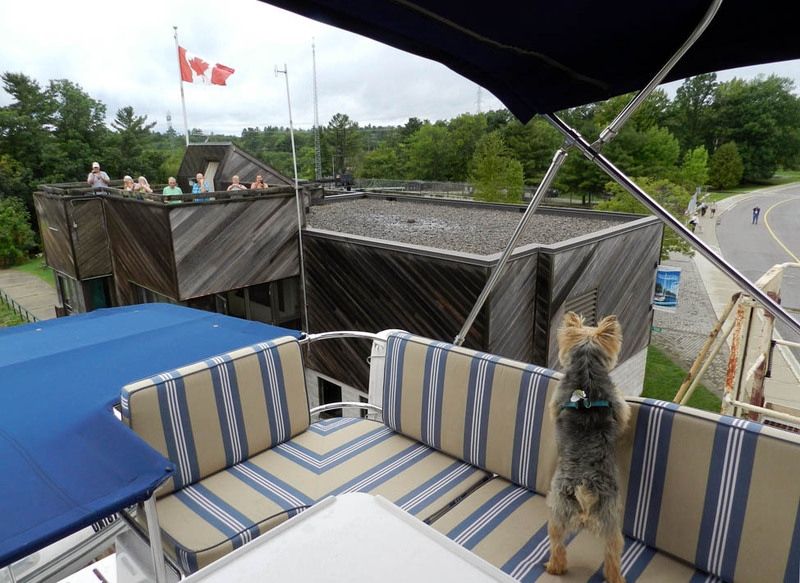 In Bobcageon, we caught up with JP & Diane aboard Moonstruck. JP & Diane seeing us off at the Bobcageon Lock - only 34 locks to go! 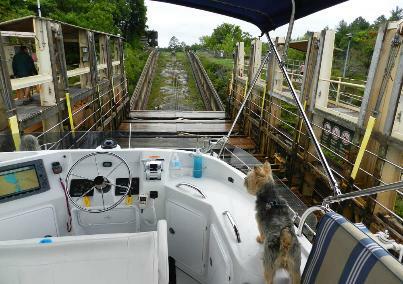 Nancy (and Addie) helping get us through Lock #30 in Lovesick - in the rain! 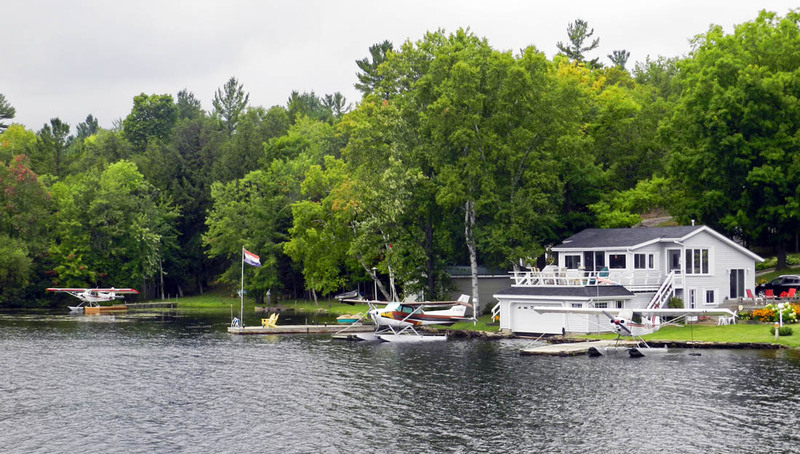 Three seaplanes - and a Dutch flag - at this waterfront house. 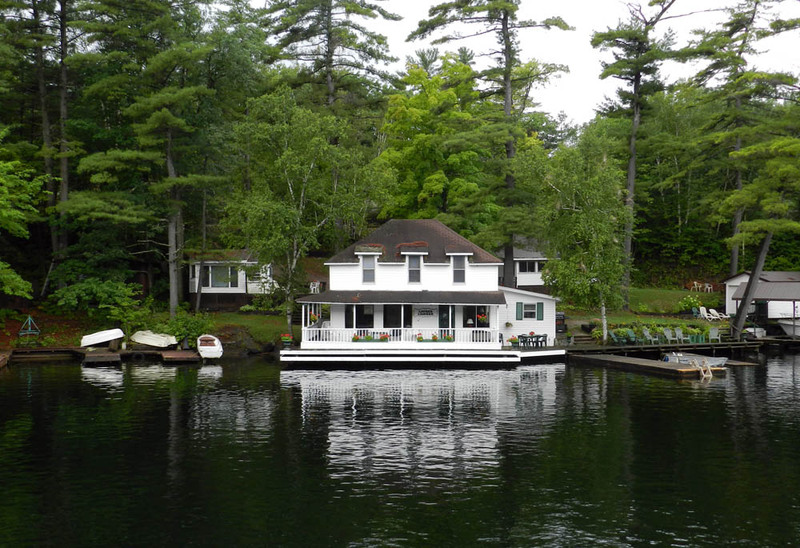 And a boathouse too! 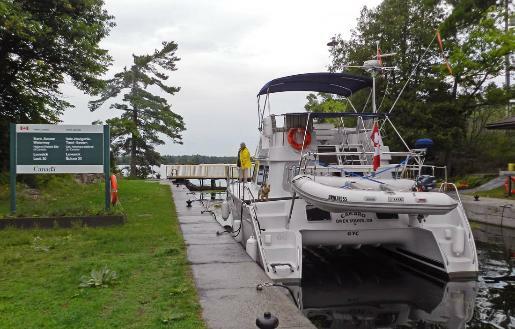 Docked in Lakefield, our first tie-up with shore power. 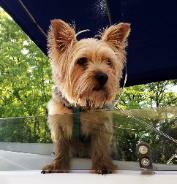 Addie in the spotlight! 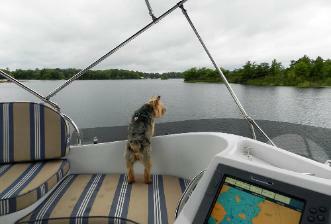 Addie - on the job!